Blogging from A-Z April Challenge Reflection Post! 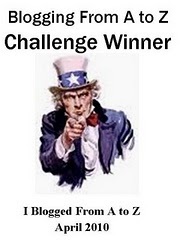 The Blogging from A to Z April Challenge is over for another year and I have survived! To everyone who made it through with me, cheers to us! Sorry it took so long to write this–work has been insane and I’m so tired at night I can’t even work on Secret Book or anything else. I hope things level out soon. This year, in addition to choosing a theme ahead of time and pre-writing, I decided to pre-post. WordPress has a scheduling function that allowed me to construct each post the night before and set it to go live at 6:00 am the following morning. I knew this existed, but I’d never used it. I think it should be my go-to from now on; writing the night before instead of waiting until I got home from work saved me so much angst. Usually, I either try to crank out something on my lunch hour and then post when I get home, or wait until then. It’s too easy to get behind that way. So nope. I have several blogs bookmarked to read—unfortunately, the list of quality posts is crazy long every year and I can’t possibly visit all the interesting-looking blogs while trying to keep up with my own posting. But after the challenge, I can go back and peruse them at my leisure. I have no life; I might as well catch up. Off-topic, but why are there so many stock photos of people with laptops lying like this? I enjoy doing this challenge, because it lets me choose an aspect of writing and deconstruct it—trying to explain it to you often changes the way I think about it. Not everyone who reads my blog writes also, and I’ve had more than one question about how I do things. While each writer’s process is different, we’re all trying to do the same thing. When I read other people’s posts, I learn from them as well. It’s loads of fun to tie something into the theme, like the Sherlock pictures in the Character posts in 2014’s challenge. I had a great time thinking up captions for those. 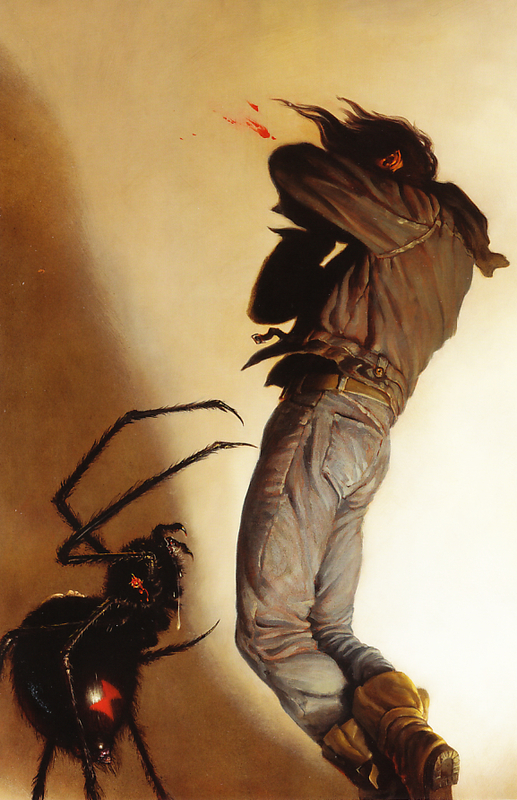 This time, Stephen King’s The Dark Tower not only provided illustrations but plenty of examples. While I’ve got nothing quite so ambitious, my little brain wheel is churning over a sequel to Tunerville, which may take me into an alternate universe, if it please ya. If you want to read TDT but you’ve never read any other Stephen King, you should absolutely read ‘Salem’s Lot first and then Hearts in Atlantis [edited to add: and also Insomnia, though it’s a brick]. I’m a third of the way through Book VII and I’ll be finished soon, so I won’t bug you with it (much) after this except to periodically exhort you to read it and not watch the Hollywood shitshow. I hope the A-Z team keeps this challenge going–unless a miracle happens and I get so busy with cool life stuff and book tours (!!!) that I don’t have time to blog every day, I’ll keep doing it. I’ll see you soon with more random writing and stuff. ‘Til then, long days and pleasant nights, sai.